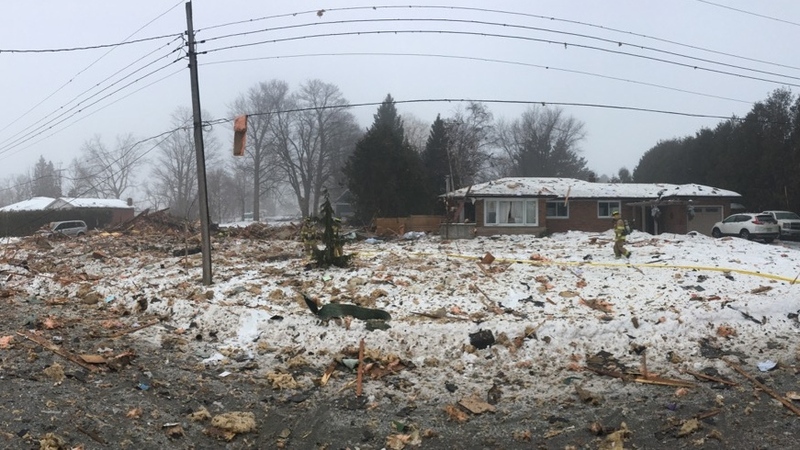 One person has died and dozens have been displaced following a devastating house explosion that levelled a home in Caledon, Ont. Emergency crews rushed to the scene Sunday just before 6:30 a.m. and evacuated a large perimeter around the blast site. “The house is absolutely gone, there’s no other way to describe it. The house is obliterated,” OPP Const. Ian Michael told CP24. Police have identified the deceased as 54-year-old Joseph Westcott. Caledon’s fire department told reporters there was no reason to believe anyone else was in the destroyed home. Caledon Mayor Allan Thompson also told reporters at a briefing Sunday morning that no one else was hurt in the blast. The force of the blast sent debris flying across neighbouring streets and into trees. Residents have reported damage to at least six homes including broken windows and a damaged garage door. Const. Michael confirmed a gas leak was detected when emergency crews arrived on scene, but it is unknown whether this was the cause of the blast. Natural gas to the area has now been shut off. 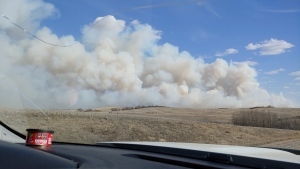 Around 35 residents were impacted by evacuations. About 25 people received help from the Red Cross. Many residents are now staying with family, but a few are being sheltered at a United Church. Residents may not be allowed return to their homes for a few days while houses are checked for structural integrity, the fire service said. Mayor Thompson said many local people had contacted him to offer help to those affected. 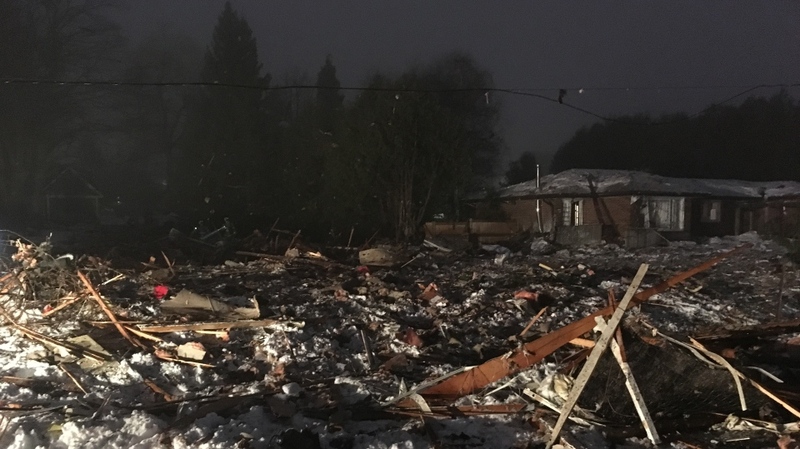 A neighbour who lives about five houses away from the one that exploded, told CP24 that he and his wife were woken by a huge boom at around 6.15 a.m.
“We immediately thought something hit our house so we threw on some sweats and ran outside,” he told CP24. Another resident told CP24 how she was woken up to what she thought was an earthquake. “I had both my dogs in my room and one jumped on the bed because he was so startled and we have been awake ever since,” she said. Vince Griffo said he heard a bang and a light fell onto a bed. “We thought it might be a tree that fell,” he said. The investigation into what caused the explosion will be handled by the Ontario Fire Marshal. Those investigators arrived on scene Sunday afternoon. A drone has been used to get a better understanding of the debris field. Caledon OPP Insp. Ryan Carothers asked motorists to avoid the area as it is still an active scene. “This is going to be a lengthy investigation under the direction of the fire captain here,” he said. Members of the OPP urban search and rescue and CBRNE (Chemical, Biological, Radiological, Nuclear and Explosives) response team are also due to attend the scene. 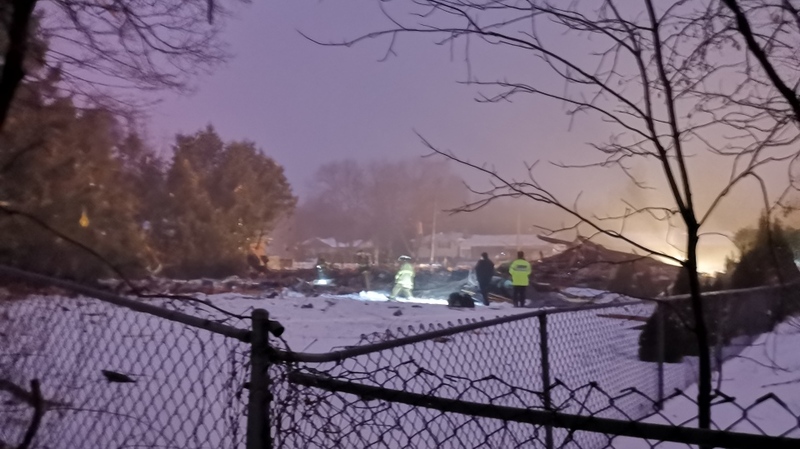 A devastating house explosion occurred this morning on Maple Grove Road in Caledon Village. Caledon Fire crews have evacuated the immediate area and are inspecting for structural damage. Please keep those affected in your thoughts.